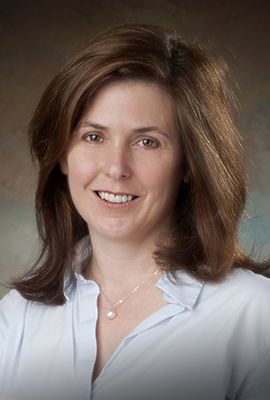 Specializing in federal taxation, estate planning and property law, Lisa Milot joined the Georgia Law faculty in 2007. Milot's research focuses on regulations concerning our most personal relationships: our bodies, our families and our possessions. Her scholarship includes: "What Are We - Laborers, Factories, or Spare Parts? The Tax Treatment of Transfers of Human Body Materials" in the Washington and Lee Law Review; "Accounting for Time: A Relative-Interest Approach to the Division of Equity in Hybrid-Property Homes Upon Divorce" in the Kentucky Law Journal and "Ignorance, Harm, and the Regulation of Performance-Enhancing Substances" in the Harvard Journal of Sports & Entertainment Law. Milot's teaching is informed by her past experience as a tax and estate planning partner at Ivins, Phillips & Barker, Chtd, and as a business and licensing associate at Cooley LLP. As a result, in addition to teaching more doctrinal subjects, in the classroom Milot emphasizes the skills and training necessary for young lawyers to succeed in practice. She was named the 2009 UGA Professor of the Year by the Georgia Association for Women Lawyers. Milot earned her bachelor's degree from New College of Florida and her master's degree in social anthropology from New York University. In 2001, she earned her J.D. from the University of Virginia, where she served as an articles editor of the Virginia Law Review and was inducted into the Order of the Coif. Backyard Breeding: Regulatory Nuisance, Crime Precursor, 85 Tenn. L. Rev. 707 (2018). Posthumous Organ Donation as Prisoner Agency and Rehabilitation, 65 DePaul L. Rev. 1193 (2016) (with A. Bersinger). Ignorance, Harm, and the Regulation of Performance-Enhancing Substances, 5 Harv. J. Sports & Ent. L. (2014). Illuminating Innumeracy, 63 Case W. Res. L. Rev. 769 (2013). Accounting for Time: A Relative-Interest Approach to the Division of Equity in Hybrid-Property Homes Upon Divorce, 100 Ky. L. J. 585 (2012). What Are We--Laborers, Factories, or Spare Parts? The Tax Treatment of Transfers of Human Body Materials, 67 Wash. & Lee L. Rev. 1053 (2010). The Case Against Tax Incentives for Organ Transfers, 45 Willamette L. Rev. 67 (2008). Restitching the American Marital Quilt: Untangling Marriage from the Nuclear Family, 87 Va. L. Rev. 701 (2001).